Cellulite develops in the body when fat is deposited immediately below the dermis and contained in fat chambers that can become swollen. As fat cells grow in size, the surrounding tissue becomes compressed and hardened, making blood circulation more difficult and trapping fluids. This leads to tension and unevenness of the skin, creating the appearance of cellulite. Solihull Medical Cosmetic Clinic offers a range of cellulite treatments that may help to address the unsightly appearance of cellulite. CelluTite is a minimally invasive procedure that targets the structural problems below the skin known to cause cellulite. CelluTite may offer a long-lasting solution to cellulite using Radio Frequency Assisted Liposuction (RFAL) technology. RFAL cellulite treatment involves the application of heat-producing energy during the procedure, with the goal of smoothing cellulite pockets to restore a smoother skin surface. You may see smoother, tighter skin. Results may often be seen immediately, with best results usually noticeable after six to twelve weeks. If desired, the cellulite treatment may be repeated twelve months following the first treatment. Results may last up to twelve to sixteen months, though results vary from person to person. The procedure is carried out under local anaesthesia for localised, smaller areas of cellulite. Analgesia may be given before hand to relax the patient. CelluTite may be suitable for visible moderate to severe cellulite. Common areas for treatment include the buttocks, thighs, and upper abdomen. Are you tired of trying to tighten up that stubborn area of fat located on your abdomen? Or perhaps you want to improve the appearance of your arms? Sometimes, no matter how hard we try to diet and exercise, we are left with areas that won’t shape up like we want them to. At Solihull Medical Cosmetic Clinic, we have a solution that may help. TiteFX (also known as BodyFX) is a new, non-invasive solution that may offer a long lasting reduction in the unsightly appearance of cellulite, which may lead to improvements in your body contour. TiteFX may help to reshape your body – it is a non-surgical alternative to liposuction that may get rid of your mummy tummy or muffin top. TiteFX in the Midlands is available at Solihull Medical Cosmetic Clinic. TiteFX uses a combination of different modalities that have been shown in studies to affect the skin and fat tissue, including radiofrequency energy, deep tissue heating, and suction coupled negative pressure. The radio-frequency energy distributes heat to the skin and underlying fat, which may cause the tissues to heat and contract. The vacuum and controlled energy pulses then work synergistically, and may provide beautiful body contouring results. The quest for an alternative to liposuction has led us to Coolsculpting and Liposonix, among other technologies. 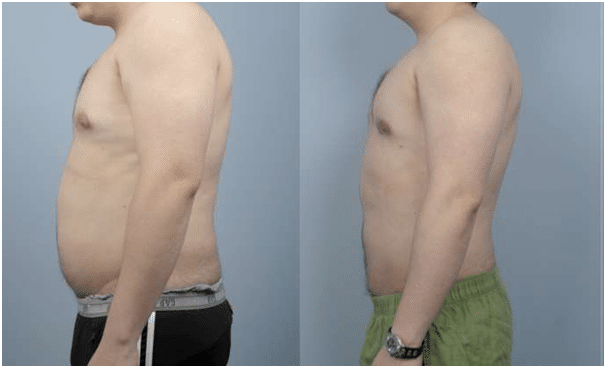 Although these modalities may offer significant benefits, none of them combine the possibilities of permanent fat reduction with tissue tightening. We find that TiteFX is really unique and stands alone as a method that may help with stubborn body fat areas with little to no pain or side effects. TiteFX is the ultramodern treatment that may safely and effectively remove unwanted fat and tighten skin at the same time. A series of radiofrequency energy pulses is delivered by a succession of pulses at 1 million cycles per second. While this may sound intense, it is very safe. To maximize comfort, the body’s temperature will be constantly monitored, with ongoing accurate feedback of the skin’s temperature. This thermal monitoring provides the utmost in temperature control. At our clinic offering TiteFX in the Midlands, it is a walk-in and walk-out procedure with no downtime. Patients can resume their normal activities right after the treatments. The parameters that are set are individualized to treat selected areas and provide comfort for the patients. The duration of each treatment depends on the number of areas needing therapy. Generally speaking, each area can take up to 30-40 minutes but smaller areas need less time. The purpose of TiteFx is to deliver various forms of energy to the skin and fat, with the goal of tissue tightening and fat reduction. As such, there is more heat as well as pulses of electricity delivered. The heat delivered causes a warm sensation on the skin. There is also vacuum suction and the resulting feeling is that of pulling on the skin. When the desired skin temperature is reached, a pulse of electrical energy is delivered and it feels like a strong tap on the skin. Each patient’s tolerance varies and the parameters can be individualized for comfort when you’re receiving TiteFX in Solihull at our clinic. Although each patient’s results vary, most people have 6-8 treatments that can be done weekly or every other week. Fundamentally, the number of treatments needed depends on the needs of the patient as well as the degree of correction required. Gradual improvements in the treatment area can often be seen following the first few treatments, with the skin’s surface feeling smoother and softer immediately in many cases. TiteFx is very versatile and can be used on many different parts of the body, including the abdomen, arms, upper back, lower back, thighs, as well as hips and waist. Generally speaking, for our patients receiving TiteFX in the Midlands, we recommend that your most troubled areas be treated first. In this way, you will be most likely to see earlier benefits where it really counts. The versatility of TiteFx is tremendous, as multiple body areas can be treated. The treatments can also be combined with other procedures, such as Fractora Firm or Fractora Plus, as well as other laser, IPL and topical treatment technologies. Fractora Firm and Fractora Plus are additional therapies that may promote further skin contraction, and may enhance TiteFx results by further promoting collagen production, skin firmness and texture. We offer any of these procedures to our patients receiving TiteFX in Solihull. Treatments with TiteFX are very gentle. The energies are selected to provide the best combination of comfort and effectiveness. The ultramodern TiteFX is designed as a form of non-surgical body contouring; as such, there must be energy delivered to the skin. Fortunately, the treatments are designed to be walk-in and walk-out procedures with no or minimal down-time. It is common for patients to experience some skin dryness and redness, as well as petechiae (small pinpoint red-purple marks) from the vacuum energy. These effects are generally transient, and are usually only present for a few hours to a few days. Most of our patients receiving TiteFX in Solihull tolerate the treatment very well. TiteFX is a unique addition to our treatment options for unwanted fat, and may offer bonus skin tightening. Its unique design is truly remarkable with built-in safety and effectiveness. Like all treatments that focus on fat reduction, it is important to also adhere to a healthy diet and engage in meaningful exercise. It is time to take control of your body shape and TiteFX is here to help. Discover a superior solution that may improve the appearance of cellulite and reduce dimpled skin. The Clinic uses a treatment called Cycloidal vibration, which has been shown in clinical studies to increase blood flow and decrease the appearance of cellulite. Following a course of treatments together with a low cellulite diet and exercise, all severities of cellulite may be visibly improved. Using a specially designed vibrating bed and probe, the treatment aims to open the drainage channels of the body to improve congestion. Approximately six to eight sessions are required, in combination with cellulite exercises and altered diet, for best results. To book your free consultation to find out what treatment suits your needs call us on 0845 603 6150.